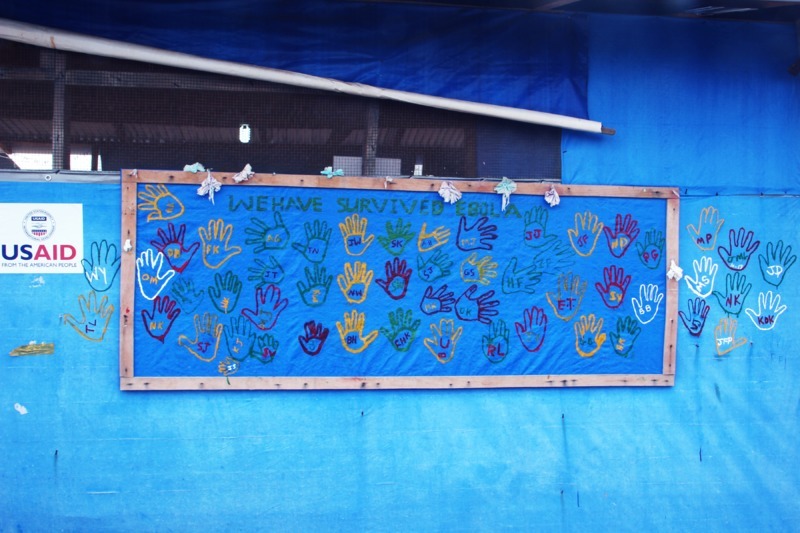 The Survivor Wall, at the Bong Ebola Treatment Unit [ETU], located in Bong County, Liberia. International Medical Corps [IMC] workers in the ETU, were overjoyed when the number of handprints of Ebola survivors surpassed the initial space made available on the Wall. The Bong ETU had admitted over 400 patients since it opened in September, 2014. CDC epidemiologists worked in Bong County, alongside World Health Organization [WHO] staff and partners, throughout the country’s Ebola outbreak response. Rebecca Hall , “Survivor Wall,” The Global Health Chronicles, accessed April 20, 2019, https://globalhealthchronicles.org/items/show/7760.